Resisting the dark passage of initiation will create imbalance and crisis. 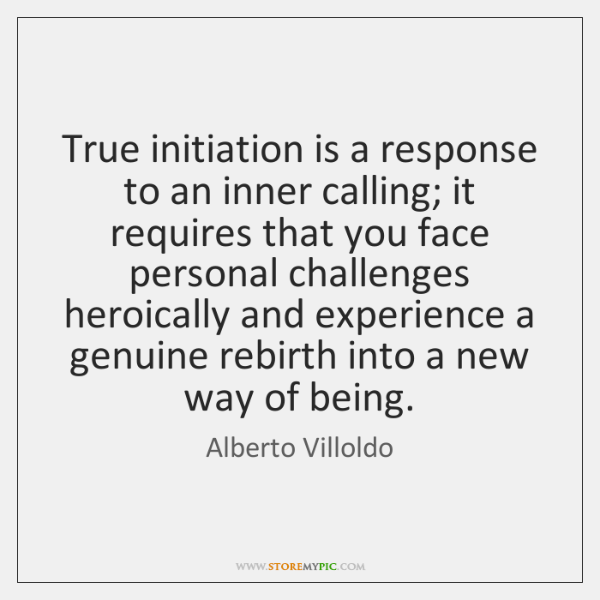 Each of us must walk our own path of initiation. The loss of a loved one, relationship, health, identity or dream forces us to enter a dark night of the soul. Challenges promt us to enter places we would never choose to go on our own. They allow us to discover our strength and learn how to access our inner wisdom. Eventually, we emerge blinking into the sunlight, changed, the dark passage now a piece of our history. Those who have been tempered by challenging experiences have a sense of empowerment. You can recognize your ability to face the shocks of life with a quiet sense of acceptance and no longer see loss as wrong or punishment. Your courageousness becomes an inspiration. Today my intention is to honor all paths as sacred.